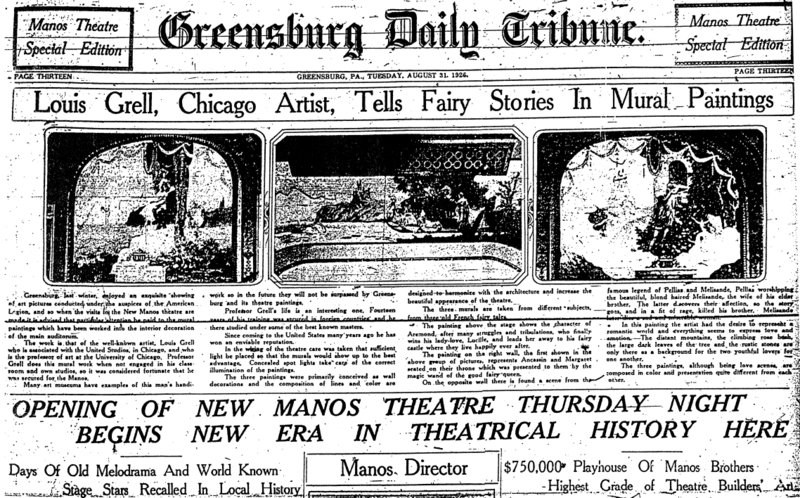 The Manos Theatre was completed in 1926. 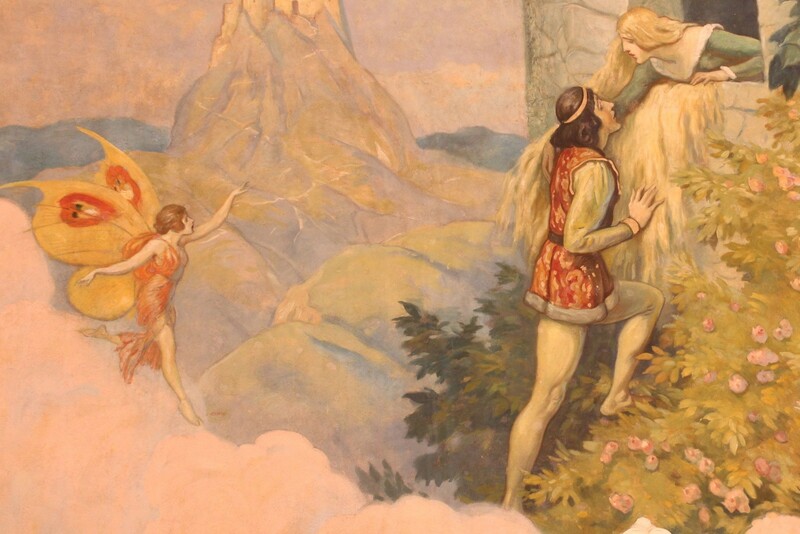 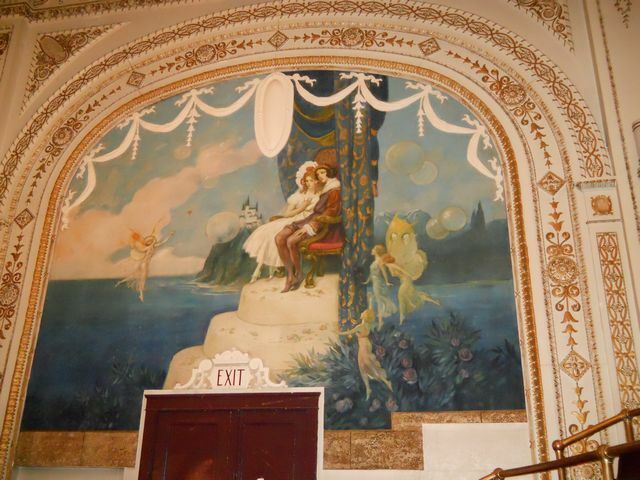 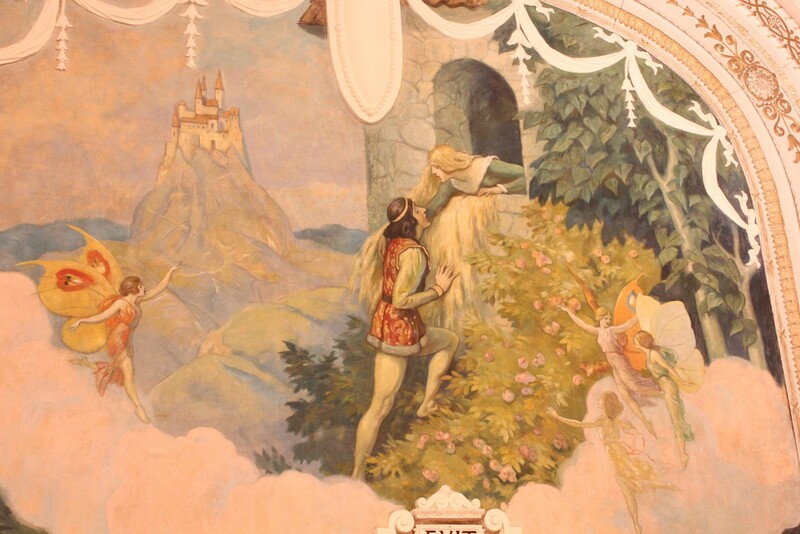 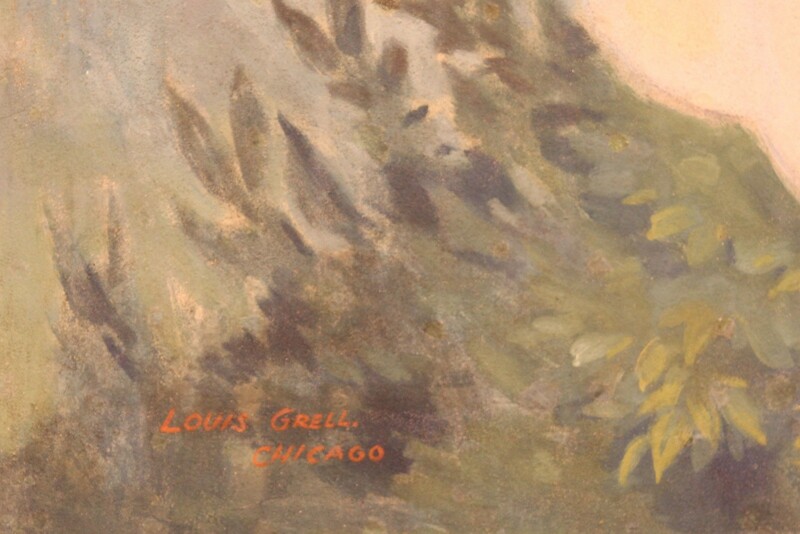 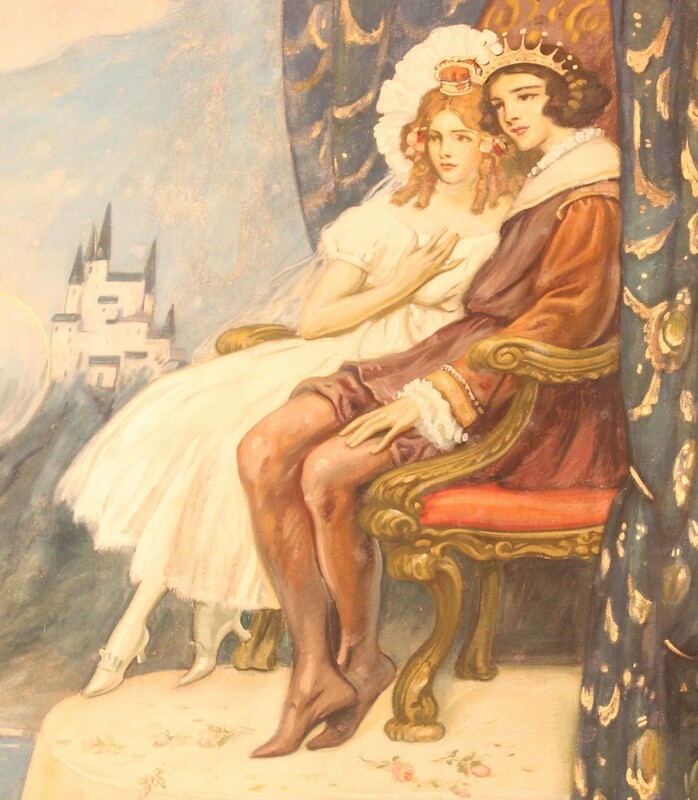 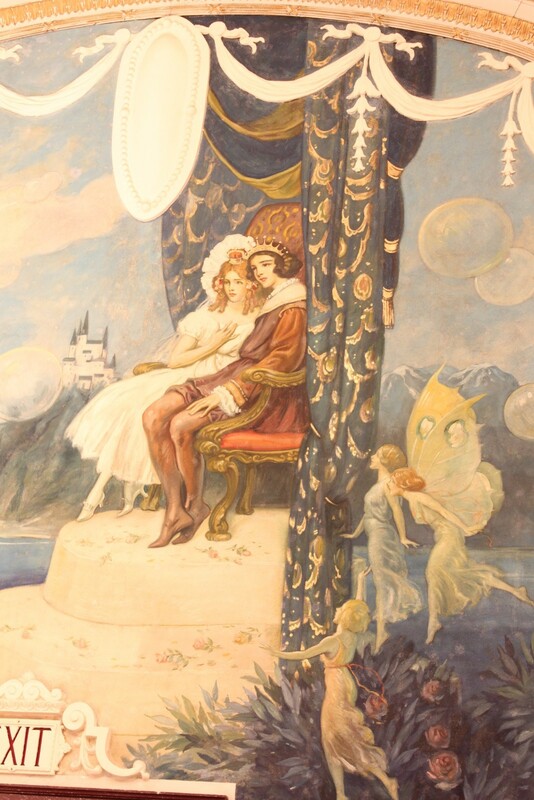 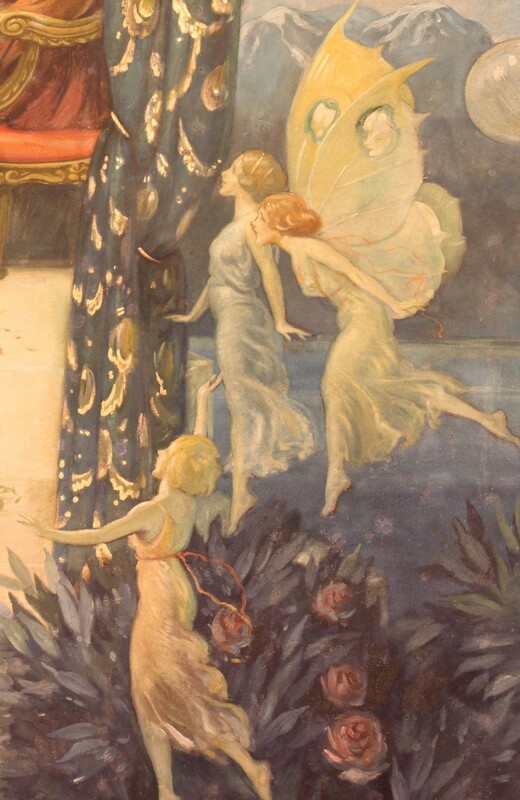 Grell was commissioned to paint three large French fairytale themed murals inside the auditorium and possibly a mural in the lobby. 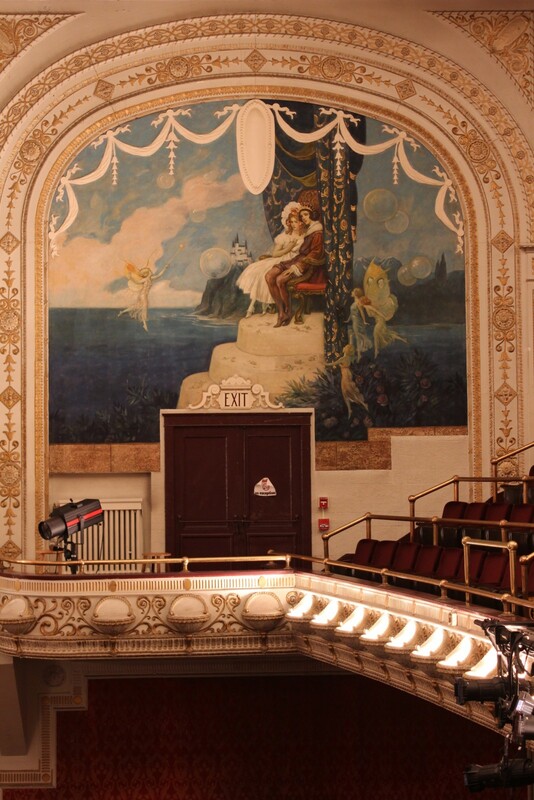 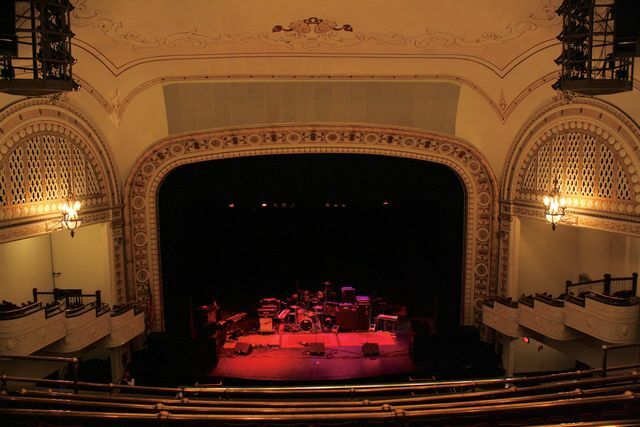 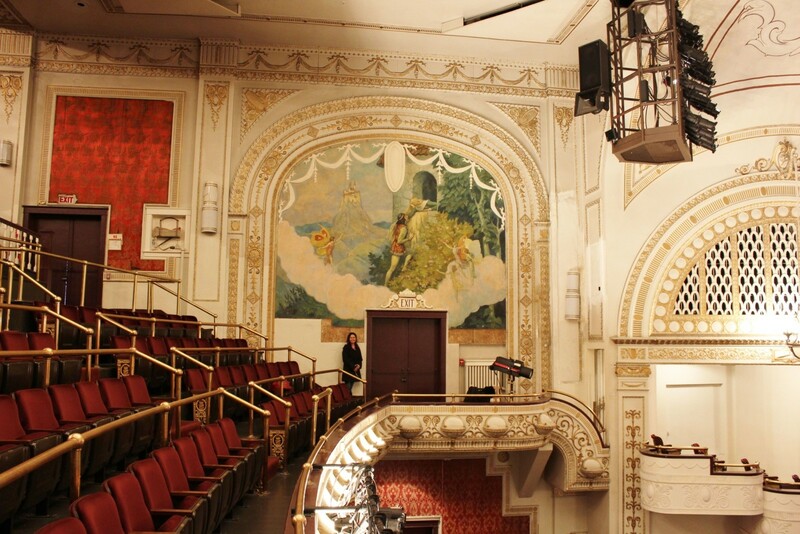 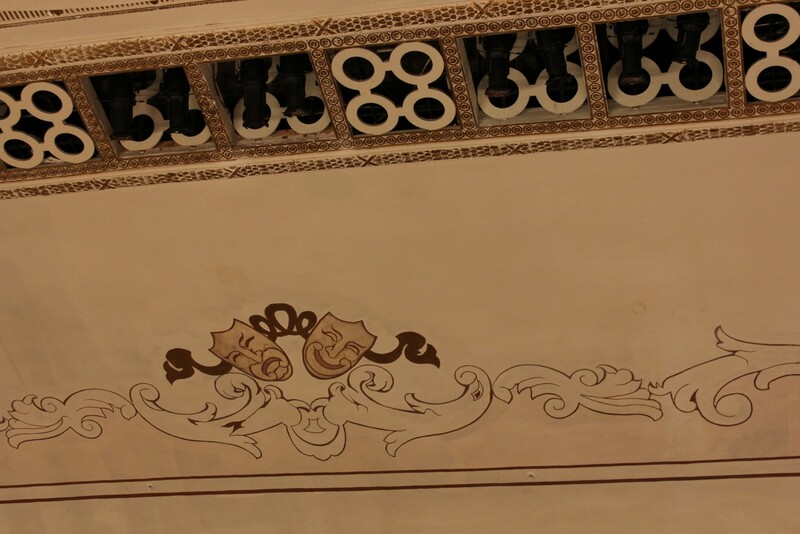 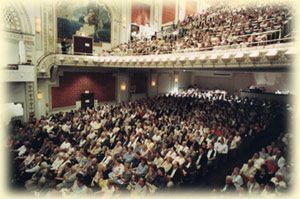 The largest of the three auditorium murals was painted into the proscenium arch above the stage while the two others lie above each side exit door. 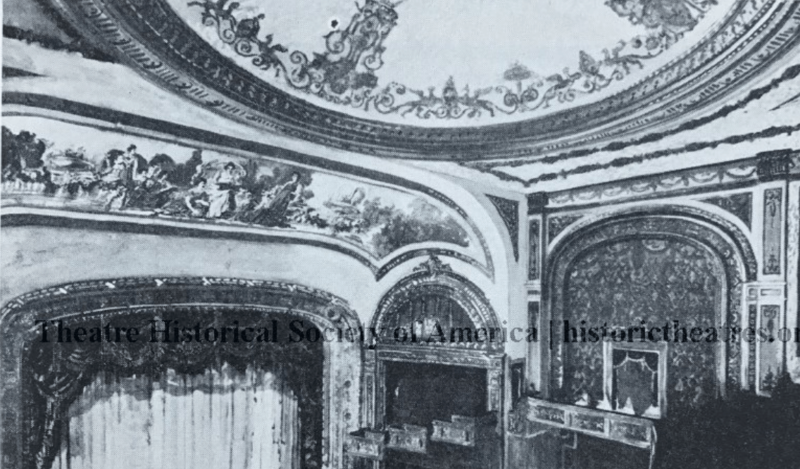 Many years later the theatre was renamed The Palace Theatre under new ownership. 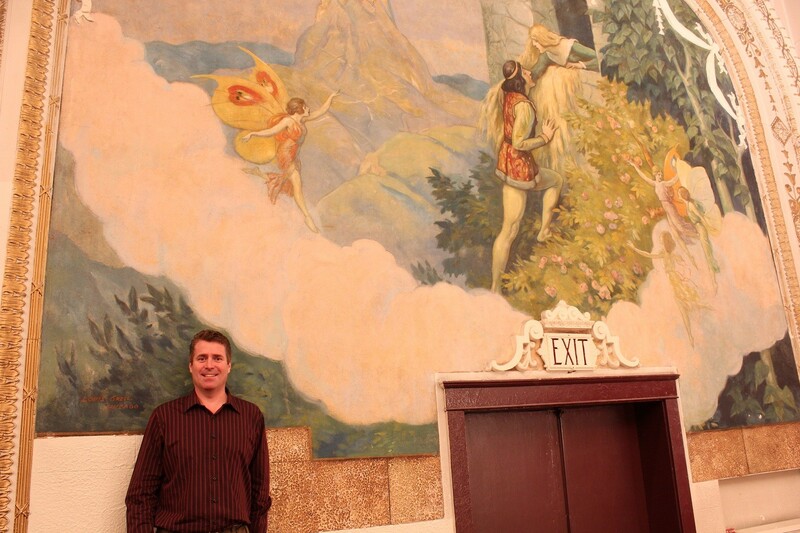 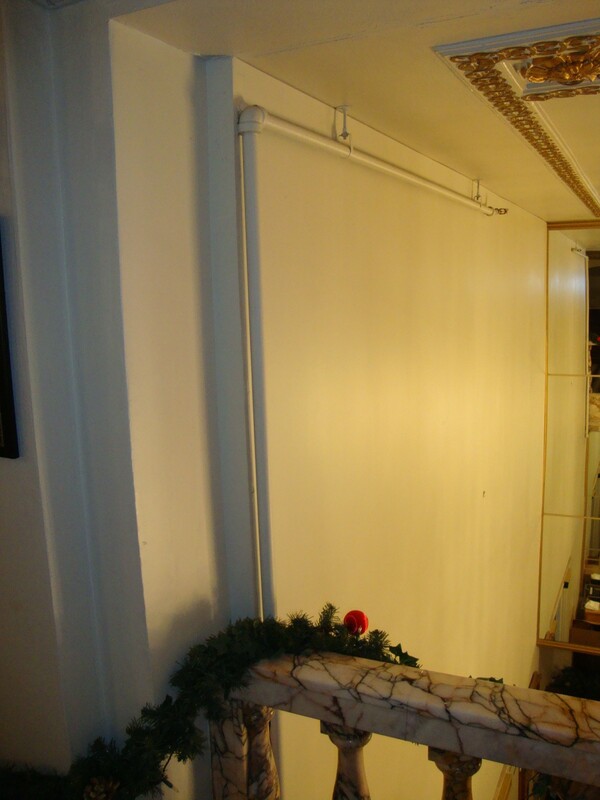 The center stage mural is yet to be uncovered and conserved. 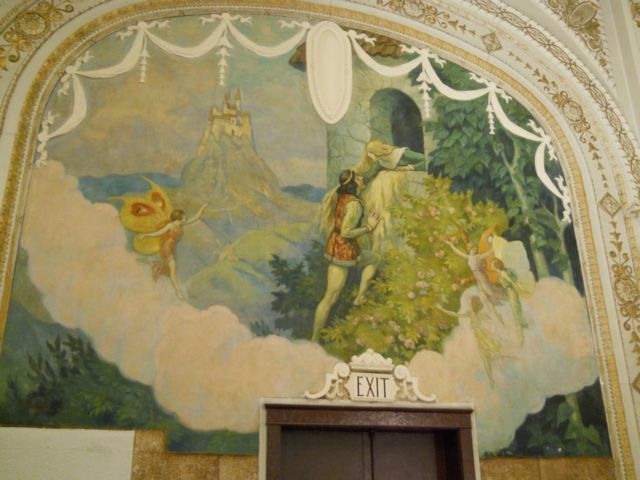 This is the only known project where Grell actually painted the murals onto the plater walls and is also signed by the artist. 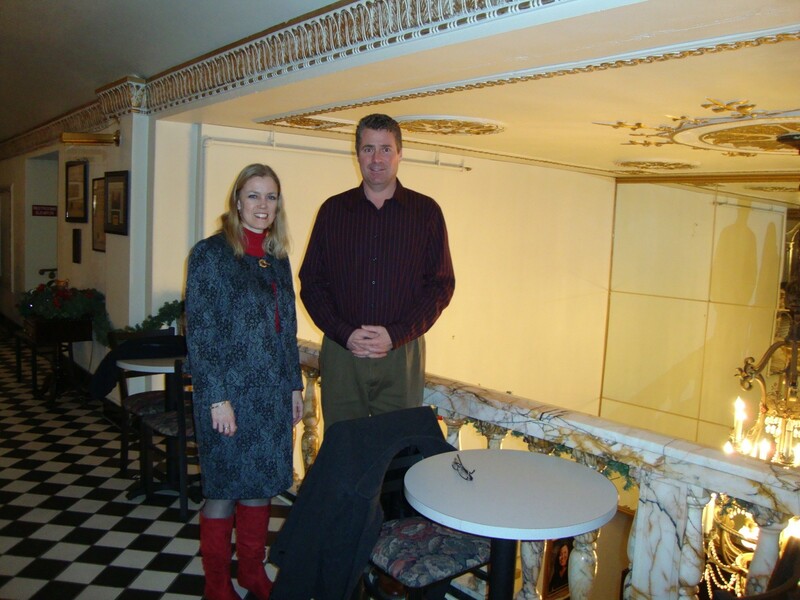 Many thanks to Teresa Baughman, Director of Marketing & Programing and the Westmoreland Cultural Trust for their hospitality and friendship during our visit in January, 2013. 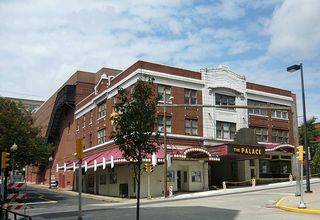 Greensburg, PA is a lovely town.